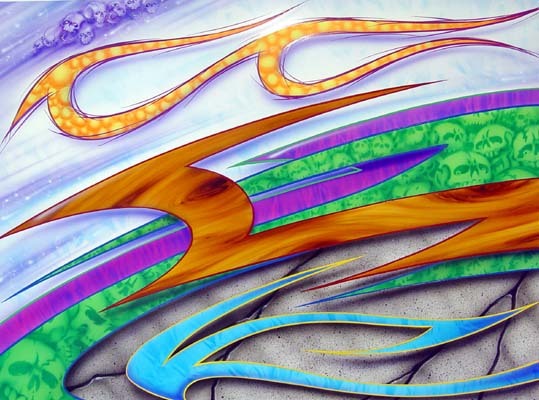 Blending your graphics, airbrushing, and pinstriping into one organic design is the trick to radical graphics. We teach you the newest styles that sell, not the industry leftovers. If you want west coast graphics,...you need to come to the west coast to learn them,..or wait till we bring them to you!